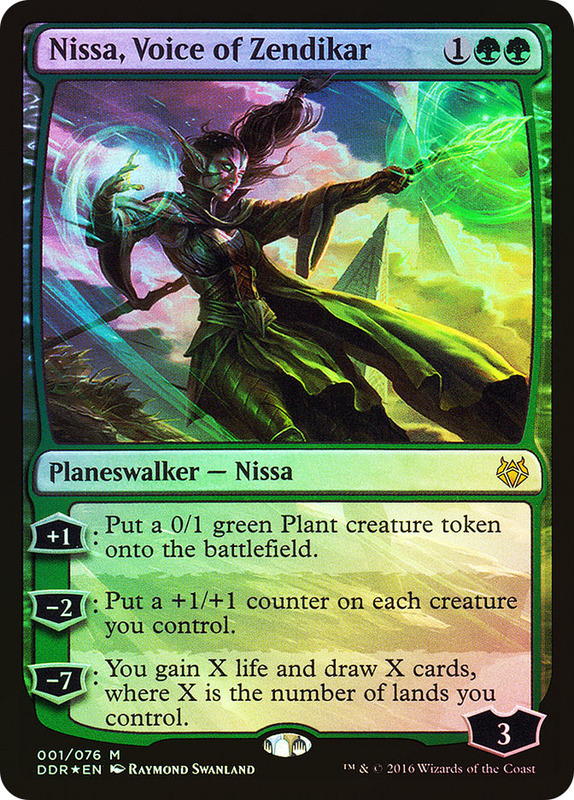 Nissa, Voice of Zendikar at StarCityGames.com! Card Text: +1: Put a 0/1 green Plant creature token onto the battlefield. −2: Put a +1/+1 counter on each creature you control. −7: You gain X life and draw X cards, where X is the number of lands you control. Oracle Text: +1: Create a 0/1 green Plant creature token.